About | De Los Reyes Engineering Inc.
De Los Reyes Engineering, Inc. was founded in 1993 by Hector De Los Reyes, P.E. as a one-man office. The firm grew quickly and became well-known as a designer of multi-million dollar homes and low to mid-rise buildings. As our reputation for sound, efficient design grew, so did the size of the projects in which we became involved. Today, the firm consists of 35 engineers and CAD operators, including 5 engineers that are employed full-time as inspectors, and 2 support staff. One of the characteristics that sets our firm apart from the rest is that the great majority of our CAD operators have engineering degrees, giving them the insight and knowledge that makes our drafting process extremely efficient. De Los Reyes Engineering, Inc. works with South Florida's leading architects, developers, general contractors, and shell contractors, designing large scale projects that vary from low and mid-rise retail, office, residential, and recreational buildings, to high - rise condominium buildings. The firm now designs the structures for some of South Florida's largest projects. The staff at De Los Reyes Engineering, Inc. has accumulated immeasurable experience in the design and detailing of conventionally reinforced concrete, post-tensioned concrete, pre-cast concrete, masonry, structural steel, and timber structures. The firm is extremely knowledgeable in wind engineering and in the design of structures exposed to hydrostatic forces. Our office is constantly making an effort to increase its knowledge base and stay on the cutting edge of technology and innovation. Since its founding, De Los Reyes Engineering, Inc. has designed such noteworthy structures as: Neo River Lofts, Neo Wind, and Neo Vertika for acclaimed developers Neo Concepts; Sabbia Beach for Fernbrook Homes, a leading builder of residential projects in Canada and now South Florida; Skyview, Flagler on the River, Melody, and Square Station among many others, for renowned residential developer the Melo Group; Nordica and the upcoming Merrick Manor for distinguished residential developer Astor Development; Brickell View Terrace for Pinnacle Housing Group, a leader in the development of affordable housing projects; and 5th & Alton for the highly celebrated builder of retail projects, Berkowitz Development Group. Our firm has amassed a client list that is comprised of several of South Florida's leading architects, including: Arquitectonica; Behar, Font & Partners; Kobi Karp Architecture & Interior Design; and Revuelta Architecture International. We are proud that our loyalty to our clients, dedication to meet and surpass our client's needs with economical and efficient designs, creative and innovative spirit that enables us to solve the design challenges that confront us, and experience that is the foundation of our effort to grow as a company, have produced some of South Florida's premier buildings. Hector De Los Reyes, P.E. Hector is a registered Professional Engineer in the state of Florida and a certified state of Florida special threshold inspector. With almost 40 years of experience in the design and construction of large scale projects throughout the state of Florida, Hector has gained a reputation as a creative, insightful engineer that provides personal service to each and every client. His goal throughout his career has always been to meet and surpass his client's needs by producing efficient and economical designs that lead to successful projects. By always keeping this notion in the forefront, he has been able to make and maintain close ties with some of South Florida's leading architects, developers, and construction companies. Hector received his B.S. in Architectural Engineering from the University of Miami in 1978. He began his structural engineering career with Spilis, Candela & Partners as a project engineer. 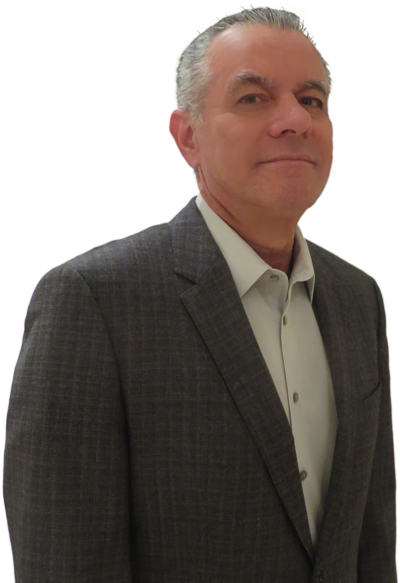 During his 5 years with this firm, Hector amassed significant experience in the design and construction of large scale projects including the James L. Night Convention Center and Miami Hyatt Complex. In 1984, Hector joined the firm Cantor, Seinuk, Puig & Associates (now The Raul Puig group) and in a few years became chief engineer. During 9 years with this firm, he gained substantial experience not only as a designer, but also as a leader, mentor, and manager. As chief engineer, he was involved in the design and construction of such notable projects as: the Bristol Tower Condominium and Fisher Island Condominiums in Miami, FL; the Disney Dolphin Hotel and Convention Center in Orlando, FL; as well as the Roosevelt Island Apartments and Battery Park City Apartments in New York, NY. In 1993, Hector founded De Los Reyes Engineering, Inc., a full-service consulting firm dedicated to providing clients with high-quality service with a personal touch. The firm's ambition is to assist clients in realizing their goals. To this end, DLR welcomes challenging projects that allow it to grow and meet the needs of future clients. Hector prides himself in his ability to work closely with building owners, architects, and engineers of all trades to arrive at insightful and creative solutions to difficult problems. He has built his career on his ability to coordinate the most complex projects and overcome the greatest engineering obstacles. As President of De Los Reyes Engineering, Hector has earned a reputation as a reliable, trustworthy, and dedicated industry leader. Hector is poised to keep the firm at the top of the industry, furthering its growing in one of the most exciting and challenging markets in the country. Adrian is a registered Professional Engineer in the State of Florida. 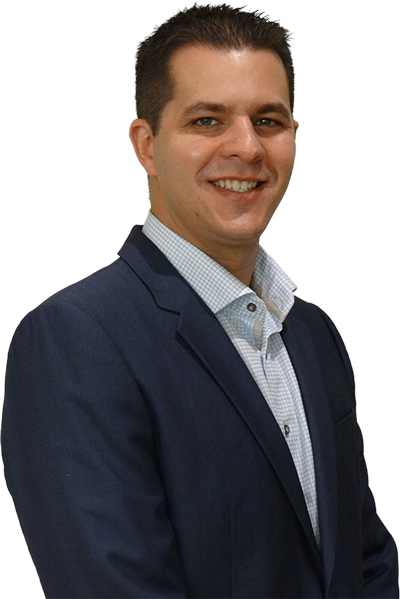 He joined the firm in 2000, working part-time throughout his undergraduate and graduate education, gaining the entry level experience that would later serve as the building blocks for the engineer and manager that he is today. As Vice President of De Los Reyes Engineering, Inc., he manages some of the firm's most complicated, large scale projects and is heavily involved in the firm's business development, client relations, project acquisition, and project lead tracking. Adrian earned a B.S. in Civil Engineering from the Florida State University in 2005 and a Master of Engineering Degree in High Performance Structures from the Massachusetts Institute of Technology in 2006. Upon completion of his graduate studies at MIT, he decided to remain in Boston, MA for some time to gain experience working at the internationally renown engineering firm Arup, before returning to Miami in 2008. While at Arup, Adrian worked on such notable projects as: Shams Al Reem Island Central Park in Abu Dhabi (underground parking garage, above ground retail structures, pedestrian bridges, and pavilions); The Gates Center for Computer Science at Carnegie Mellon University; and Ernie Davis Hall at Syracuse University. The experience working at a large international engineering firm gave him insight into the direction in which he wanted to help take De Los Reyes Engineering in the future as well as the kinds of projects that he wanted to be involved in. Working as an employee at such a firm also helped mold his ideals and approach to running a business in such a competitive, fast paced, and complex industry. His passion is the design of high-rise structures with a key emphasis on efficiency, economy, and coordination with other design professionals. Among his most noteworthy projects to date are: 22 Skyview, Flagler on the River, and Melody Tower for internationally acclaimed developer the Melo Group; Sabbia beach for esteemed developers Fernbrook Florida and world class architects Arquitectonica; and L'Atelier for renowned developers SMG Management and W Capital Group and celebrated architectural firm Revuelta Architecture International. Adrian prides himself on being meticulous during all phases of a project, the high level of customer service that he provides every client, and his eagerness to always seek the best design possible given the project constraints.